The Pastoral Team has served the people of Berlín for more than 25 years. They organize and educate community leaders, facilitate project requests, financially manage projects, fulfill basic requests for health, education, food, and clothing that come to them every day, and provide pastoral care to the people of Berlín. 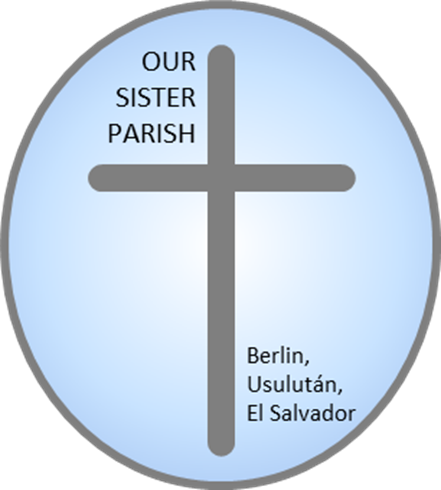 The mission co-worker acts as a liaison between the Pastoral Team and the communities of Berlín in El Salvador and the Compañeros board, churches, and other partner organizations in Iowa and elsewhere. He/she helps churches plan and lead delegations, processes, translates, and communicates requests for projects, and generally acts as the communicator between all the different groups involved in the mission. He/she also lives and works alongside the Pastoral Team in order to help encourage Salvadoran communities and community leaders to work for a better future for themselves and their children. Kathy Bassett is currently serving as the Our Sister Parish Interim Mission Co-worker. She and can be reached at kathybassett@outlook.com. Kathy is a former Our Sister Parish Mission Co-worker and remains active with the mission. Our Sister Parish Board The Board manages the Iowa side of the mission. They educate people in the Presbytery of Des Moines and others about the work of the mission, assist churches in organizing delegations, promote mission projects, fundraise, and help the churches of Iowa to work together to improve the lives of people in Berlín. The mission began in 1990 when Rev. Robert Cook first visited Berlin as the Hunger Action Enabler of the Presbytery of Des Moines, Iowa. Rev. Cook went to live in Berlin permanently in 2001 and retired in 2006. Rev. Cook is no longer associated with the Our Sister Parish Mission. In January 2008, Kathy Mahler (now Kathy Bassett) moved to Berlin to become the Mission Co-Worker. Kathy was the Mission Co-Worker until 2012. She continues to be very active with the mission and returns to El Salvador often. Rev. Katherine Pater served as the Our Sister Parish Mission Co-Worker from January 2013 till September of 2016. Get involved: The Our Sister Parish Board meets the second Tuesday of each month at 6:30 pm. Contact the Presbytery of Des Moines office (515-276-4991) to confirm location. Buy/serve Don Justo Coffee with Dignity® coffee: Call or visit the Presbytery of Des Moines office, visit oursisterparish.org/buy-coffee. Learn More: Visit and like the Our Sister Parish page on Facebook, the Our Sister Parish website at oursisterparish.org. Visit Berlín: Come with us on a delegation--or schedule a delegation from your whole church! All are welcome. Visit the Our Sister website and click on the "Delegations" tab.